The aim of the Imaging Working Group is to advance the state of the art in image-based plant phenotyping by providing developers and users with a forum that focusses discussion on emerging challenges, methods, technologies, and applications. By setting up this working group, the international community will have an on-going platform for interaction beyond projects, which often only last a few years. 1. Organise workshops: We will organise and coordinate a series of different workshops ranging from small, focused workshops to broad recurrent events. Focused as well as recurrent workshops are open for IPPN members who want to organize such an event. The aim of the Imaging WG is to harmonize and coordinate these events in order to avoid schedule collisions or too frequent repetitions diluting efforts. The focused workshops will target expert developers or user groups, on topics proposed by IPPN members, where possible during other phenotyping events. These might consider a particular phenotyping task (e.g. 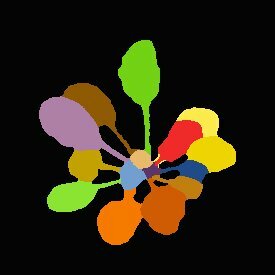 leaf area measurement), imaging or image analysis challenge (e.g. reconstruction of 3D descriptions of shoots from multiple colour images) or hardware or computational technology (e.g. hyperspectral imaging, or machine learning). For broad, recurrent events this IPPN Imaging WG will focus on well-established events that have been designed to be community building and being as inclusive as possible. Especially they need to be open for (IPPN and non-IPPN) experts to take a leading role in their organization. Two workshops series are currently organized by WG members and are therefore initially in the WG’s focus: IAMPS, addressing practitioners in image-based plant phenotyping; and CVPPP, addressing computer vision experts to provide novel solutions and addressing plant phenotyping experts to provide challenging image analysis problems. 2. Support summer schools: The above envisioned workshops address and are suitable for experts readily working on image-based plant phenotyping, either from the practical plant work or the computer vision side. In order to offer an easy entry point also for scientists/students new to the field, the Imaging WG will also support the organization of summer schools with focus on giving overview and allowing for hands-on training. 4. Relevant info at web portal: offering access links to relevant groups, papers, online resources and events worldwide as provided actively by the community itself. The info can be found at the Imaging WG Twitter feed and the Imaging Blog.